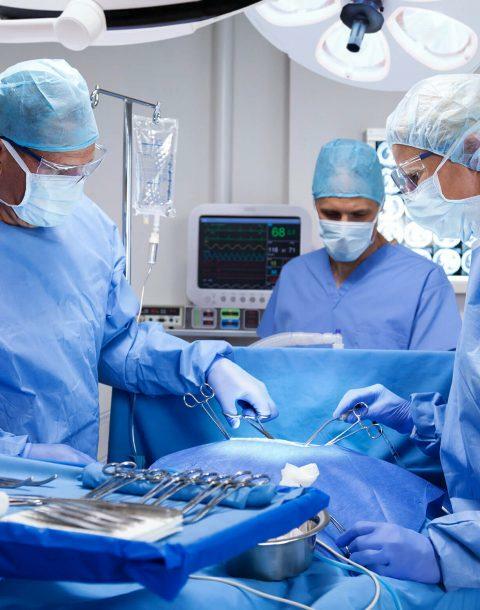 Certain Covidien Parietex surgical mesh products, along with other manufacturer’s surgical mesh products, may be cause for concern when used in hernia repair procedures. Some of the reports discuss patients who suffered pain, needed additional surgeries, or were hospitalized due to the hernia mesh used in their surgical hernia repair. The manufacturer or firm acts on its “own initiative” to recall a product. The FDA requests the manufacturer to recall a product. Although some degree of pain and discomfort following a hernia repair surgery is not unusual, severe pain and other disabling complications could be indications of defective surgical mesh. Did you undergo a revision surgery to correct complications following your initial hernia repair procedure? Or have you had a conversation with your physician in which he or she recommended a revision or corrective surgical procedure due to extreme complications following your hernia repair surgery? In either of these instances, if you received a Covidien hernia mesh implant, you may be entitled to pursue compensation from Covidien. If you are facing this difficult situation, we encourage you to contact an experienced Covidien hernia mesh attorney. A knowledgeable Weitz & Luxenberg attorney would be able to help you determine if you are eligible to pursue legal action. For more information, we encourage you to contact us. One of our Covidien hernia mesh attorneys would be happy to arrange a free consultation. With more than two decades of experience handling large-scale litigation involving defective medical devices and drugs, Paul Pennock and Peter Samberg are the type of attorneys you want working for you. “Recently, the number of adverse events involving hernia surgical mesh seems to be rising. These reports are concerning. I hope people realize they don’t have to live in constant pain, with such disruption to their lives, just because a formal recall hasn’t been issued,” Mr. Pennock says. For 20 years, Mr. Pennock has been leading Weitz & Luxenberg’s Drug and Medical Device Litigation group of attorneys because he knows how to win the tough cases — cases affecting thousands of people harmed by defective drugs and medical devices. He is noted for his roles in helping secure victories against the manufacturers of defective medications and devices. Weitz & Luxenberg’s Drug and Medical Device Litigation team, with Paul Pennock leading the way, have begun the steps needed to take legal action against Covidien and other surgical mesh manufacturers. These hernia repair mesh products are linked to extreme medical complications in some cases. Have you suffered any of the following complications that necessitated a corrective or revision surgery — or has your doctor recommended you undergo a revision surgery because your hernia repair mesh has resulted in any of these complications? If you experienced complications resulting from your Covidien mesh implant, you may be able to seek compensation for not only your current but also future medical expenses related to the injuries you have suffered. This compensation could also potentially include lost earnings if you were not able to work, as well as other expenses you incurred due to your injuries. Our attorneys have prepared and filed lawsuits against a number of manufacturers of hernia mesh products, and anticipate filing Covidien hernia mesh lawsuits. We are representing clients who suffered significant complications, including corrective or revision surgical procedures, linked to certain Covidien hernia mesh implants. A man and his wife received an award which included punitive damages from a New Jersey jury in one of the first Vioxx trial cases against Merck. The man had a heart attack after taking Vioxx for four years. In some instances, physicians have advised their patients to undergo revision surgeries and patients have not yet been able to get the recommended surgical procedure done. For a free consultation, we invite you to contact us. For your convenience, you may reach us by phone at (877) 680-3753 or complete the form on this page. One of our representatives will contact you shortly. To speak to an attorney today about your legal needs, please call us at (877) 680-3753.